Montreal State was happy to attend the 2016 Web Summit in Lisbon, Portugal this past November. Here's what our newest writer, Rayelle Matthews, has to say about the conference! As a first timer at Web Summit, there was plenty of anticipation and a lot to take in. 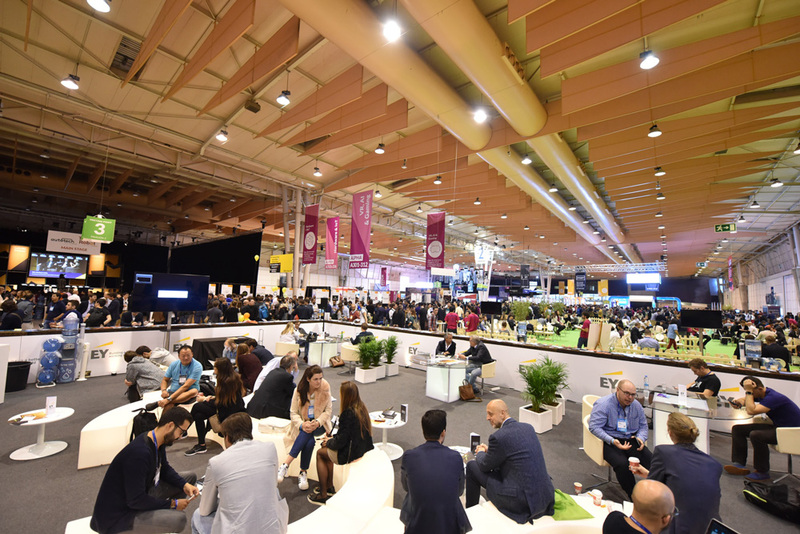 Known as “Europe’s largest and most important technology marketplace,” this year’s summit hosted over 50,000 attendees spanning across 150 different countries. Needless to say, it is a huge event in the tech sphere with some of the world's leading industry figures presenting on everything from data and politics to fashion and sports. Noteworthy heavy hitters included Amazon’s CTO Werner Vogels, GE’s CMO Linda Boff and Reddit’s co-founder Alexis Ohanian. Also in attendance: top dogs from a millennial’s dream: Tinder, Facebook and Spotify with discussions on a wide range of subjects including technology, ethics, futurism and design. Another standout aspect of Web Summit is the space. The site is quite large as it is divided into 3 huge pavilions and one breath taking main stage. Each pavilion hosts a multitude of startup booths, lounge spaces (like the Women in Tech lounge), and interactive installations. Not to mention numerous coffee stations to keep you going throughout the 4-day summit (oh and all that coffee was on the house!). You must be strategic if you need to get to a talk on time. It can take a while getting through the massive venue amongst the crowds. If you do have time to spare, wandering about and getting lost in the space is the best way to see everything. You will come across various brands, booths, and eager attendees and maybe even get stopped to have your photo taken for a fashion startup (yep, this happened – Hi Fabusco!). All in all, Web Summit is an impressive production with lots for everyone (and by everyone, I mean the type of person that would even inquire about a “web summit” to begin with). To make sure you make the most out of this grand event, you should plan your days well in advance, leaving some room to explore aimlessly (and check out the view of the water nearby!). This year’s Wi-Fi situation was less than ideal so be sure to have a backup copy of all the talks & panels you want to catch, as the app was often not working. And don’t forget where you are; Lisboa is one of the most specular and exciting cities -- you must book some days off to soak it all in. Obrigada Web Summit & Lisboa – see you next year! All media (excluding the last photo taken by Sofia Shendi) comes from Web Summit.